The SyncForce Portfolio Lifecycle Management cloud is designed to make it easier to successfully bring branded products to market in a multi-channel world. 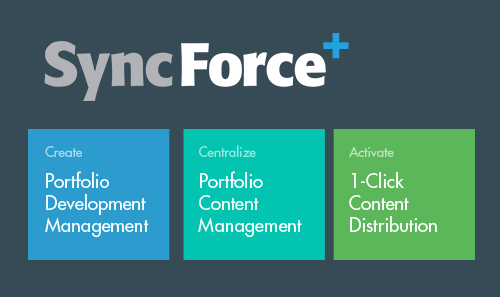 SyncForce improves Portfolio Development (brand, product, promotion) and Portfolio Activation. A key hallmark of the solution is the ability to ensure complete and consistent digital availability across all channels. Digital availability is about making sure that every channel has all the information that buyers need and want to make a purchase decision, without delay, today and tomorrow. Click here and learn what we can do for you!